Congrats, Grad! That can be the most exciting and terrifying phrase for a college graduate after collecting a diploma. On one hand, the years spent neglecting sleep on a questionable diet, while trying to maintain a balanced lifestyle are over. On the other, it’s time to find a job and begin the adult portion of your life. With that, make good on your debts. You’re not alone. 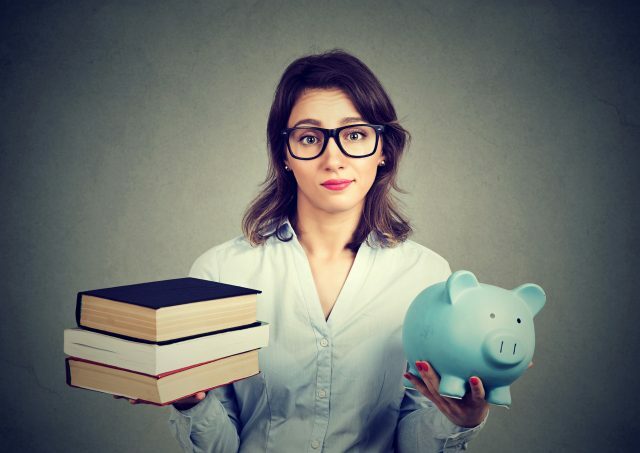 According to the Pew Research Center, 53 percent of young adults with at least a bachelor’s degree have outstanding student loans for their own education. So sit back and relax; we’re about to address some helpful tips that will put you on the right track to financial stability. You may owe a good amount of money, and it may take an extended amount of time pay it all off. According to a recent survey from the Federal Reserve Bank of New York Consumer Credit Panel/Equifax, you’re not alone. The average debt per student borrower is $27,975. The best time to handle it is at the onset of your career. Take care of it now, so you can have financial freedom later. The best way to pay off student loans is figuring out what you’re on the hook for. Reach out to your institution’s financial aid office and gather as much information on each loan as possible. That includes the number of loans and where they came from, the total amount of each, when payments kick in, how much those payments will be, terms & conditions and interest rates. The one nice thing about borrowing thousands of dollars from a private or federal lender is that they may be flexible with repayment options. These options include paying a fixed amount over the course of 10-30 years, an increasing amount over two-year increments, and a percentage of your discretionary income. Once you select a plan, set a monthly budget and stick to it. Depending on where you are at in life (kids, house, car payment, between jobs, backpacking across Europe), it may be easiest to select the lowest possible monthly payment. This isn’t a terrible option and nobody can tell you how to spend your money. Just be cognizant that the less paid each month means that more interest will be paid in the long run. For that reason, paying as much per month as comfortably possible will save you money. A common issue with repaying loans is having too many to keep track of. For this, consider consolidating federal loans. Consolidation will combine multiple federal loans into one, meaning one payment, one fixed interest rate and more flexibility for repayment. You can apply for a Direct Consolidation Loan for free at StudentLoans.gov. Private loans cannot be consolidated with federal loans, but they can be consolidated or refinanced separately. This is an easy tip and may seem like a no-brainer, but stay on top of monthly payments. If you find yourself in a bind (a lay-off or major injury), you might be able to contact your loan servicer for a deferment or forbearance, which will place a temporary pause on payments. The goal is to avoid going into default, which can lead to a bevy of more serious problems.